Citizens who want to help their neighbors still have time to participate in the Give Food Project. The Project, sponsored by Edgefield County Council Chairman Dean Campbell, is scheduled to end in September. Proceeds from the Give Food Project will be given to the Johnston Food Bank, which services many citizens in Edgefield County. The statistics show the need for food is going up in Edgefield County. In 2010, the Johnston Food Bank served an average of 116 families per month. That figure jumped in 2011 to an average of 148 families per month. So far in 2012, the average has risen to 171 families per month. About 64 percent of the Food Bank’s clients are from Johnston, with 23 percent from Edgefield, 10 percent from Trenton, and about 3 percent from North Augusta or Modoc. Monetary donations can be mailed directly to the Johnston Food Bank c/o Deborah Henderson, 97 Weaver Rd., Johnston. Citizens can drop food off at the Food Bank, 505 Academy St., Johnston. (Where the old Mobley Library used to be located.) 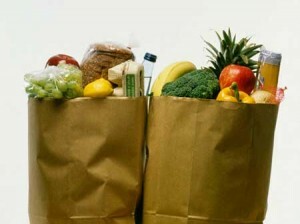 Anyone planning to drop off food should call Henderson at 275-1953 or 480-0678 before doing so.